Raptor 6" oval black wheel to wheel nerf bars are an enormous 6" tubing with a super wide stepping area. One might ask, why would I want this? Our question to you is, why wouldn't you? With the most optimum stepping area you never have to worry about slipping as you step into your vehicle. 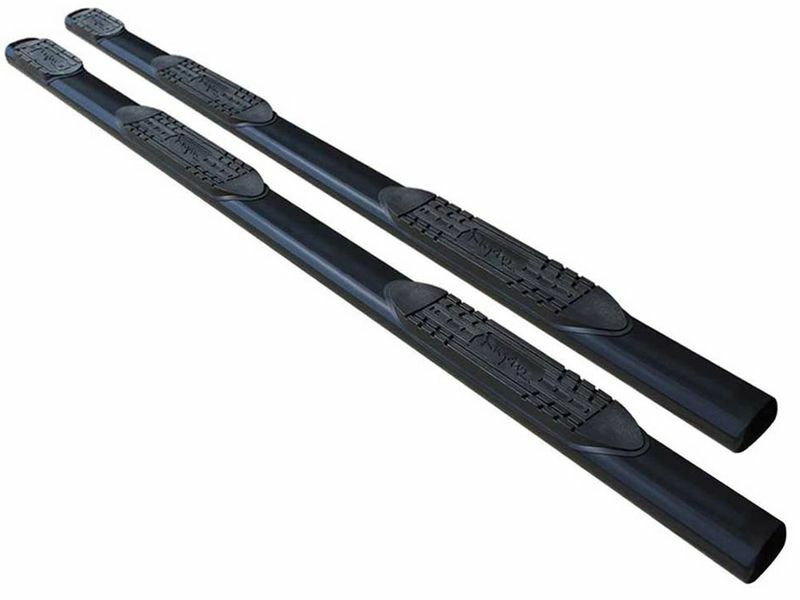 Available in a durable black powder-coat, each step bar is made from heavy-duty steel. With a weight rating up to 500 pounds, these bad boys are made to last. Raptor 6" nerfs have welded end caps constructed from resilient ABS. Custom fit for your vehicle, no drilling is required on the Raptor 6" oval black wheel to wheel nerf bars. These wheel to wheel step bars are even backed by a ten year warranty. Go ahead and order your set now!